Below are some useful links for all Volkswagen Camper and Bus enthusiasts. If you would like us to add a link to your website or know of a link that would be useful to others please Contact Us with the details. Offers wide range of new, OEM and aftermarket VW parts and accessories. A useful buyers guide for all types of VW Camper including Bay Window Type 2 and T25 / T3 / Vanagon models. The site tells you what to look out for as well as listing places where you can buy your next VW Bus. A photo gallery showing interior shots of all the different types of Volkwagen conversions available such as Autohomes, Autosleeper, Carthago, Danbury, Dehler, Devon, Dormobile, Holdsworth, Reimo, Viking, Weinsberg, Westafalia, Awesome, CamperShak, VanWurks as well as home made interiors. 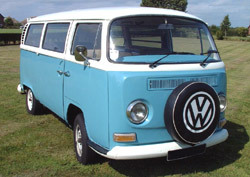 A FREE site to buy and sell VW Camper and Buses as well as all related parts and accessories. An information site about Volkswagen Westfalia T25 / T3 / Vanagon campers such as Joker, California and Atlantic including model history, buying guide and useful links. An information site about Volkswagen Westfalia T4 campers such as California Coach and Exclusive including model history, buying guide and useful links. An information site about Volkswagen Westfalia LT campers including models such as Westfalia Captain, Westfalia Sven Hedin and Westfalia Florida. 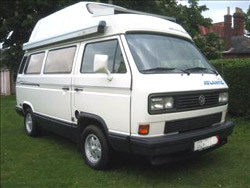 An information site about Volkswagen T25 / T3 / Vanagon campers including models converted by Autohomes, Autosleeper, Devon, Holdsworth and Westfalia. An information site about Volkswagen T4 Transporter campers including models converted by Autohomes, Autosleeper, Holdsworth and Westfalia. 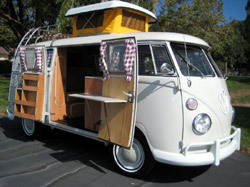 An international online directory of companies who specialise in VW Volkswagen camper hire / rental. For Buying and selling lots of interesting stuff ! Similar to this site but for Kit Car enthusiasts! Similar to this site but for Japanese Import Car enthusiasts!